What is InfoTrack with Xero Workflow Max? InfoTrack & Xero have worked together to create a more efficient workflow that saves times and increases accuracy for all Xero Workflow Max/Practice Manager users. The integration between InfoTrack & Xero ensures that all your searches and related costs are saved back to the relevant Xero job files. Easily access ASIC, PPSR, KYC, AML/CTF, property information and more. Receive your search results faster. Automatically save all your search costs to the relevant client file. 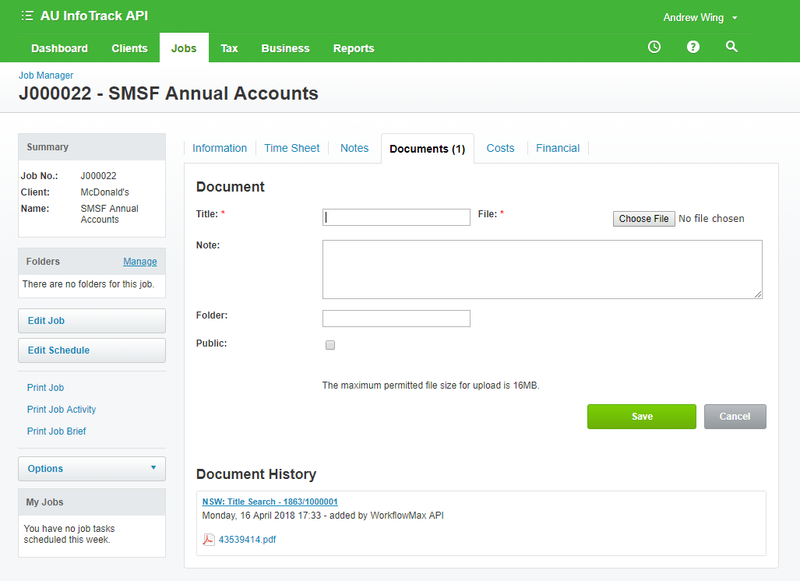 Auto populate ASIC information into your Xero client files. Receive complimentary InfoTrack training and HelpDesk support. Access online stamping and other manual services. 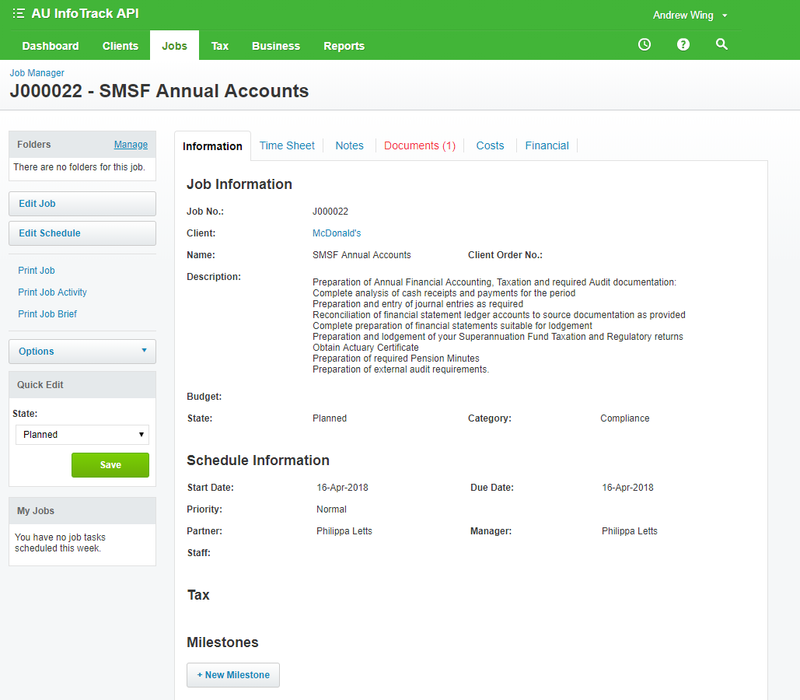 The integration reads a list of jobs from your Xero database. You select the desired job from the dropdown box in the top right of the website. The Job number is mapped into InfoTrack as read-only. Once you've selected the job, proceed with your search. 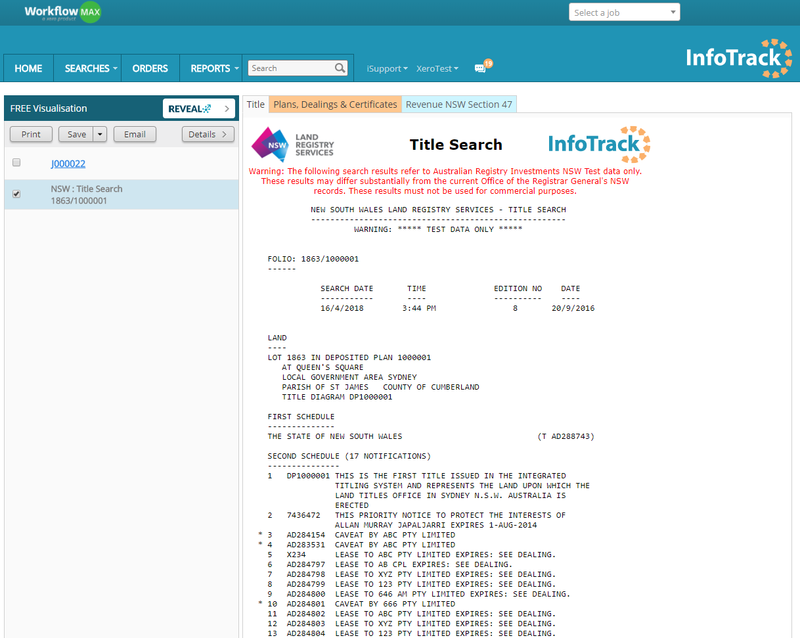 You'll see the completed search results in InfoTrack. Your search results and related disbursements will automatically be saved to the Job in Xero. 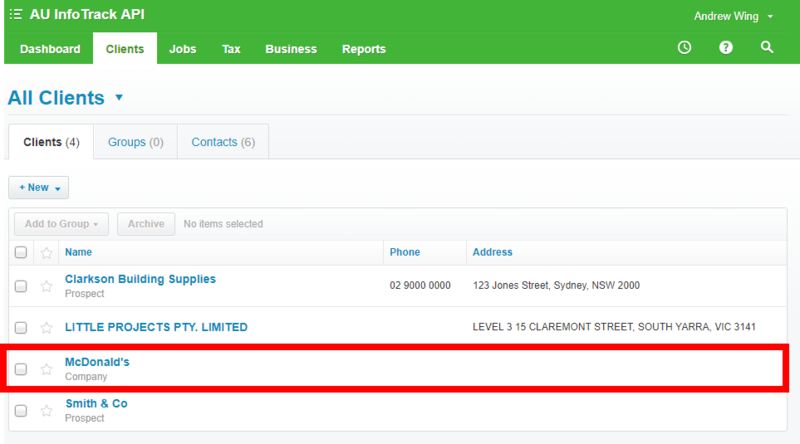 To view the search results in Xero, go to the client profile and select ‘Jobs’. You will see that there are new documents in the 'Documents' tab. Select ‘Documents’, to view the documents. 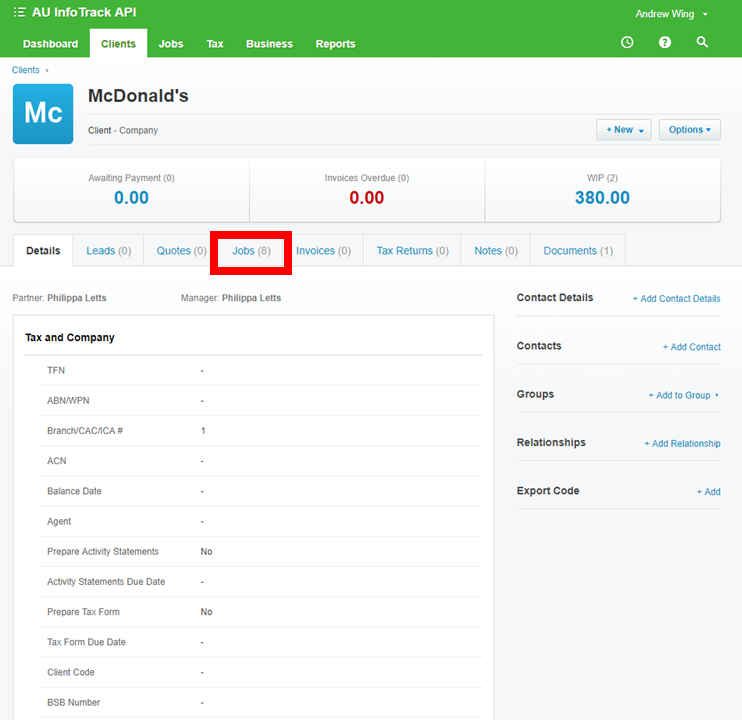 To view the related costs, select the ‘Costs’ and ‘Financial’ tabs. Xero Practice Manager users can now access a wide range of searches and company compliance tools through InfoTrack’s easy-to-use platform. Whether you need to register a company, complete bulk title searches, or conduct anti-money laundering checks, you can depend on InfoTrack for fast, reliable results. 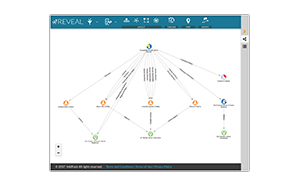 Complete AML/CTF investigations in a single search that automatically highlights risks and can be customised to meet your requirements. Streamline company registration, trust creation and editing. Xero is a global provider of accounting software, giving small businesses the time-saving tools to help them grow. InfoTrack is a technology company that provides integrated searching and innovative services for professionals, businesses and individuals. 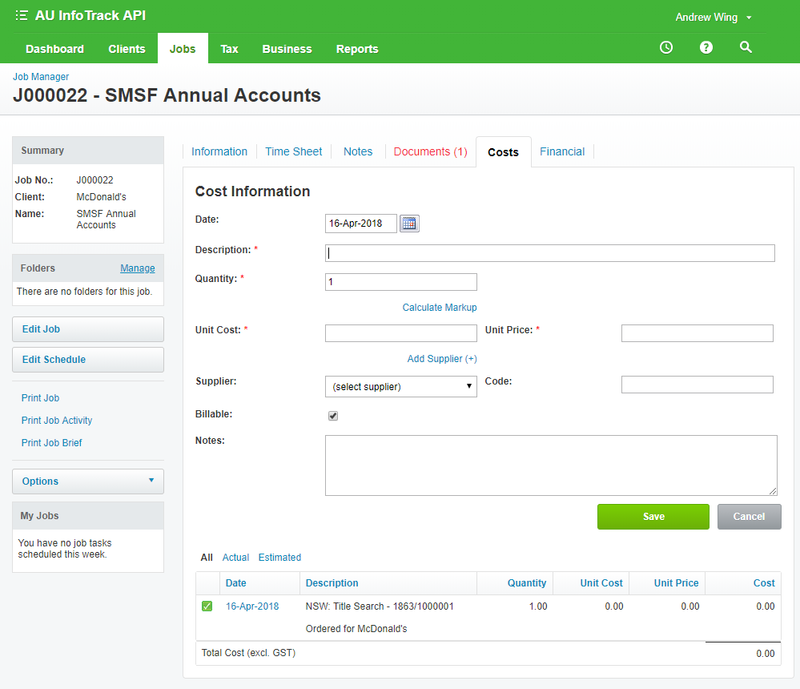 The integration between InfoTrack and Xero improves your workflow efficiency and provides easier access to information. Both InfoTrack & Xero are fully online, so you can work on the go from anywhere on your PC, Mac or mobile. 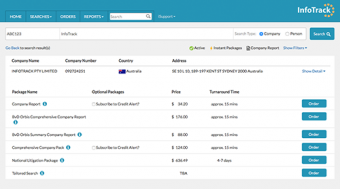 Xero allows you to get paid faster with online invoicing. 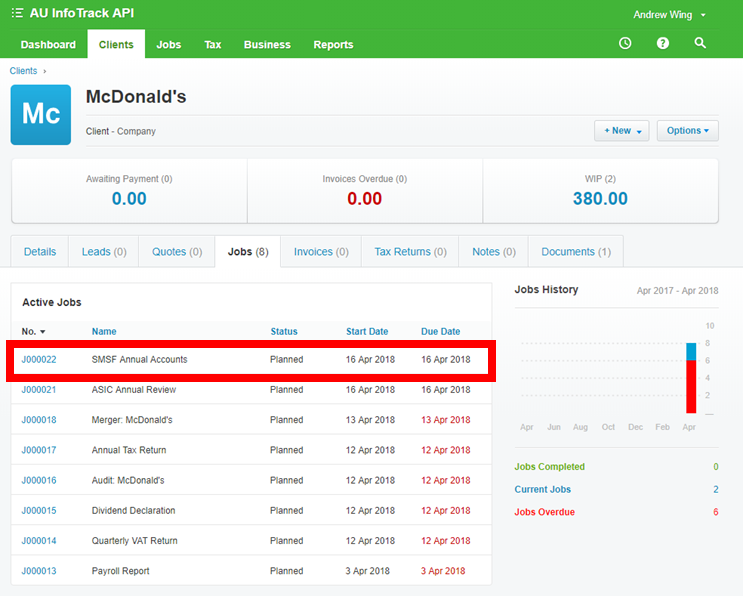 Create automatically recurring invoices and be notified once they are opened. View your cash-flow live through bank and credit card statements that are automatically imported and categorised.